Please choose your electric distribution company to view a chart of the previous 24 months of Direct Energy Services' average variable pricing history in that territory. The average variable prices indicated in the chart are for illustrative purposes and reflect the average rate during a calendar month. This representation is not intended to predict future variable pricing or detail exact prices that a customer on a default variable plan was previously billed. 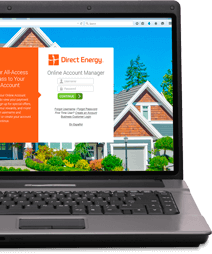 Please note that some utilities have not been served by Direct Energy Services for the previous 24 months and the pricing shown represents the entirety of historical pricing available. *Based on the average default variable price for this electric distribution company. For more information on how the variable price is set, please refer to your Terms and Conditions.